Yesterday Theater Design Northwest installed the top of the line THX Certified 3D capable Panasonic VT25 series 65″ plasma HDTV in our first full HD 3D home theater room. The picture quality was incredibly nice with only a quick adjustment to black/white levels done as we and the clients wait for the set to break in before doing the full video calibration process. This custom-designed luxury home theater offers extreme high quality picture plus sound and is being done in stages to fit the client’s budget requirements. So far they have done: design/consulting, a complete makeover of the room, wiring infrastructure, a custom fabric-stretch screenwall to neatly conceal the equipment, the HDTV, subwoofer and the RF remote control. Listed under Key Components is the gear list as it will be in this home theater when completed. We will post photos as soon as the millwork is done. 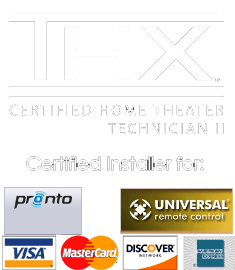 These great clients are doing it the right way by planning the home theater they want with their integrator and working together to make the build schedule fit their budget needs. This approach is much more satisfying than choosing to buy lesser quality than you really want and cutting corners on the finished project’s quality. And it also gives the clients and us something to look forward to every couple of months as as we incrementally upgrade them to audio video nirvana!